MediaTek Chairman M.K. Tsai (right) and Kenneth Tai, Richtek Chairman. MediaTek Inc., Taiwan's No.1 IC design house, has announced acquiring Richtek Technology Corp., another of Taiwan's leading design house, in an all-cash deal for NT$29 billion (US$906.25 million) that will significantly help MediaTek expand into the market of Internet of Things (IoT) chips. MediaTek will purchase all of Richtek stock at NT$195 (US$6.09) per share in two stages, with the whole deal expected to be completed by the second quarter 2016. 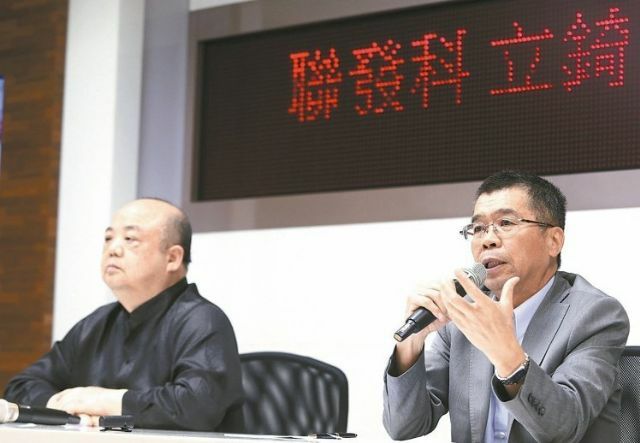 According to Taiwan's industry executives, the deal would be the second largest of Taiwan's electronics industry this year in terms of value, trailing only the acquisition of IC packager Siliconware Precision Industries Co., Ltd. by Advanced Semiconductor Engineering Inc. (ASE Inc.), reportedly the world's No.1 pure IC assembler. After acquiring Richtek, recognized as Taiwan's No.1 designer of analog ICs and power management ICs, MediaTek will further secure its No.3 position in the global IC design industry. MediaTek Chairman M.K. Tsai points out that the consolidation is an inevitable move for the two companies in order to expand customer base in the world market, and that the two companies had set up business tie even before the acquisition deal. Richtek Chairman Kenneth Tai notes that the consolidation can achieve three major goals: optimally maximize Richtek's benefit, generate double-effect for the consolidated identity, and tap the global market for IoT chips with integrated strength.